How are the consumers behave towards FMCG in the middle of 2016? Find out more here. 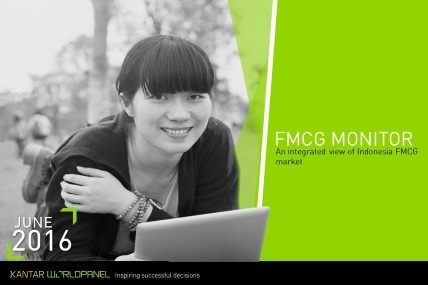 FMCG Monitor is a monthly report published by Kantar Worldpanel, with the goal to provide a brief overview of Indonesia FMCG market and its evolution across sectors and channels as well as the most updated highlights. Total National Indonesia FMCG June 2016 value growth is still mostly driven by price increase. Value growth happened across segments this quarter, led by Personal Care, Home Care and Beverages. However, Food still hasn’t recovered yet in terms of volume (units) growth. Modern Trade is growing driven by both Minimarket and Supermarket. They become more and more important in Indonesia. Why is it? Find out more here! Please follow link on the right side of this page to download full reports.